More expensive is not always better! Racking your homemade beer. Transferring your home brewed beer. Racking your home brewed beer. A saying that typically holds true in home brewing is that you get what you pay for, but that is not always the case! Do not always get drawn in to the most expensive home brewing products, thinking that they are superior to their less expensive counterparts. One example of this is home brewing racking canes used to transfer your home brew. When I first started home brewing, some of the first items that I purchased were my extract ingredient kit, 5 gallon stove top brewing kettle, wort chiller, fermentation bucket and my auto siphon racking cane. The only item that I still use from that initial purchase is that old $12 racking cane. It is not that I have not wanted to replace it, I have. I have purchased $20 stainless steel racking cane setups to transfer my beer, but none have been as effective, sanitary or as unlikely to oxidize my beer as my old trusty auto siphon racking cane. 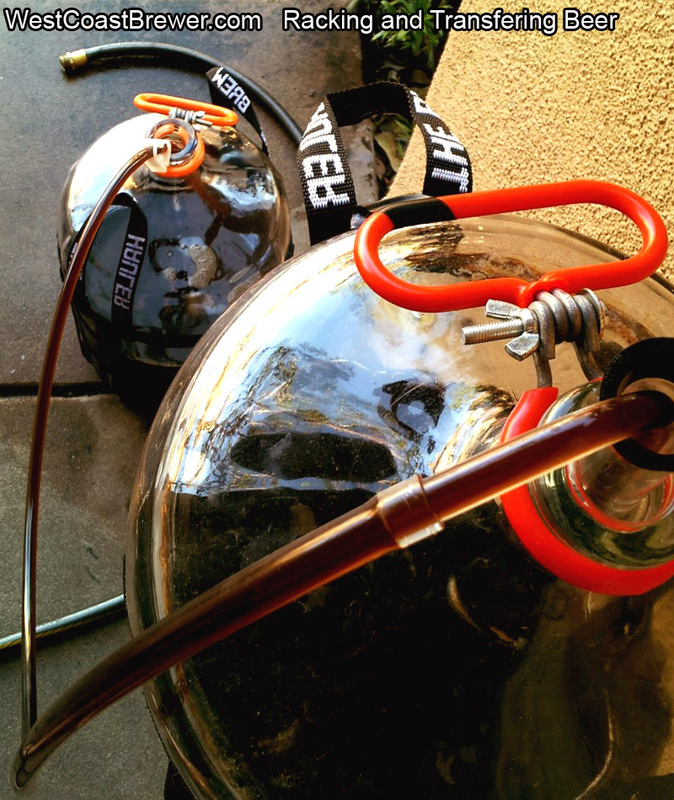 The home brewing auto siphon is a fantastic racking cane that makes it very simple to transfer your beer from a primary fermenter to a secondary fermenter or to a keg. It can also make bottling your beer a snap. Here are some simple instruction on how to use an auto siphon racking cane. 1 – Sanitize the auto siphon racking cane and the container you will be transferring to. 2 – Submerge the auto siphon into the fermenter, just above the yeast cake as not to disturb it. 3 – Place the the tubing into the container you’re racking to. 4 – Slowly pull the inner tube of the auto siphon up from the body until the liquid fills the tube. You will want to make sure that the base of the container that you are transferring from is higher then the fill line of the container that you are transferring to so that you will not disrupt the flow of the auto siphon once the siphon has began. 5 – Depress the inner tube of the auto siphon back down and siphoning will begin. it is that easy to rack or transfer your beer. If you are in the market to purchase a home brewing racking cane or auto siphon, you can find them here at a reasonable price.